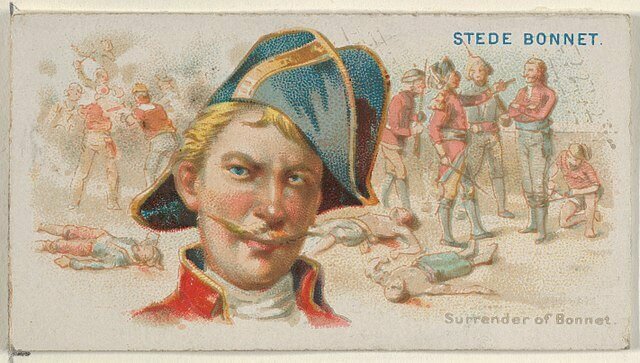 Stede Bonnet (1688 – 10 December 1718) is one of the most interesting pirates to have existed in the Golden Age of Piracy. 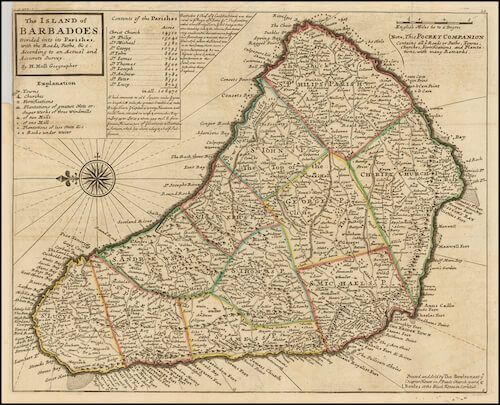 Originally a wealthy land owner in the British Empire colony of Barbados, Stede turned to a life of piracy more for adventure than necessity. For this he is known as the "Gentleman Pirate". He was unique in many senses from the rest of pirates in his lack of sailing and ship knowledge. Bonnet is known to have collaborated heavily with the infamous pirate Edward 'Blackbeard' Teach and in fact was present during the notorious blockade of Charles Town. 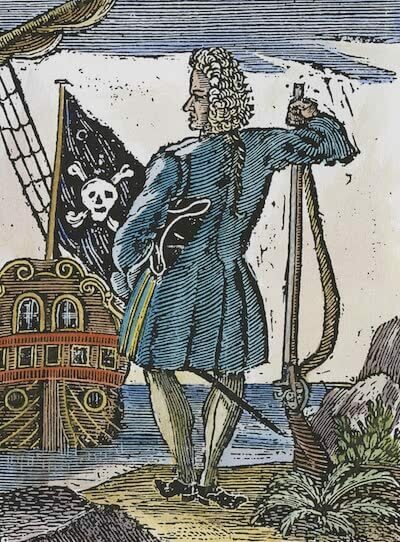 While continuously overshadowed by his cruises with Blackbeard, Stede was a formidable pirate in his own right and responsible for much of Blackbeard's successes. Given his aristocratic upbringing Stede could move more incognito in a civilian population and was likely responsible for Blackbeard's correspondences and possibly helping him plan his fleets. Following his partnership with Bonnet the power of Blackbeard surged which may have been due to the education and finances of Bonnet. Stede Bonnet was born to a wealthy English family in Barbados and after his fathers death he inherited the entire estate in 1694. In 1709 he married a women named Mary Allamby and was also involved in the local militia. However due to marital problems and a lust for adventure he turned to piracy in the spring/summer of 1717. Bonnet acquired a pirate ship in a much different fashion than most pirates who either converted a privateering vessel or captured another ship. Stede Bonnet had contracted a local shipyard to build him a 60-ton sloop named the Revenge that he equipped with 6 cannons and a crew of over seventy men. On more than one occasion Stede Bonnet collaborated and pirated with the infamous Edward 'Blackbeard' Teach. While in the pirate haven of Nassau, Bonnet met other pirate captains Benjamin Hornigold and Blackbeard. The two would continue to work together for the remainder of Bonnet's life as Stede was greatly injured. Temporarily giving command of the Revenge to Blackbeard, Stede took a more relaxed role aboard the ship. Their first of piracy occurred when Blackbeard and Bonnet captured eleven ships in Delaware Bay off the coast of British North America. Then on 29 September 1717 the Revenge captured a sloop named Betty which contained a full stock of wine from the Madeira Islands. As described by Captain Codd whose ship was raided on 12 October 1717 described Bonnet as walking around the deck of the Revenge still visibly unwell from his wounds. Blackbeard continued to command Bonnet's crew as they sailed the Spofford and the Sea Nymph leaving out of Philadelphia. On October 22nd, the Revenge captured the Robert and Good Intent as well, gaining a few more scores before sailing onto their next big capture. Blackbeard and Bonnet returned to the Caribbean in November and continue their activities there. On 17 November, 1717 Blackbeard and Bonnet captured a 200-ton ship named the Concorde about 100 miles (160 km) off the coast of Martinique near Saint Vincent. A lieutenant later described in his testimony that the pirates had two ships, one with 12 guns and 120 men and another having eight guns and 30 men. This corresponds with the known size of Stede Bonnet's sloop. The crew defended the ship, however they quickly met their match with the battle ready pirates. The pirates eventually captured the Concorde after two devastating broadside attacks. Blackbeard took the ship as his flagship and renamed it the Queen Anne's Revenge after sailing south to the Grenadines. The name is a possible insult to King George I of Britain. Bonnet and Blackbeard separated sometime after 19 December 1718 where Bonnet continue to sail through the western Caribbean, plundering ships and being a general pirate nuisance. Weather he continued to join Blackbeard as captain of the Revenge remains questions. However Blackbeard and Bonnet were to reunite very soon. In March of 1718 Bonnet let a 400-ton merchant ship the Protestant Caesar escape off the coast of British Honduras. This made his crew frustrated with his leadership and when Bonnet met up with Blackbeard again the crew deserted him. In an swift turn of events Bonnet found himself a guest aboard his own ship as Blackbeard placed an ally named Richards in command of the Revenge due to Bonnet's incompetence. At this point Bonnet began considering giving up the criminal life if he could escape to exile in Spain or Portugal. He remained without command until the summer of 1718. Under its new captain Richards, the Revenge captured a Jamaican sloop named the Adventure which was captained by a man named James Herriot. Herriot joined the pirates instead of fighting them and now Blackbeard had three ships in his flotilla. Acquiring another vessel, Blackbeard now was in need of medicine and plunder for his crews. Stede Bonnet accompanied Blackbeard to Charles Town in the Province of South Carolina where Blackbeard proceeded to blockade the entire port in the spring of 1718. After succeeding in the ransoming of the officials and acquiring the medicine following the Blockade of Charles Town, Blackbeard and Bonnet headed north to Topsail Inlet near Bath in the Province of North Carolina. 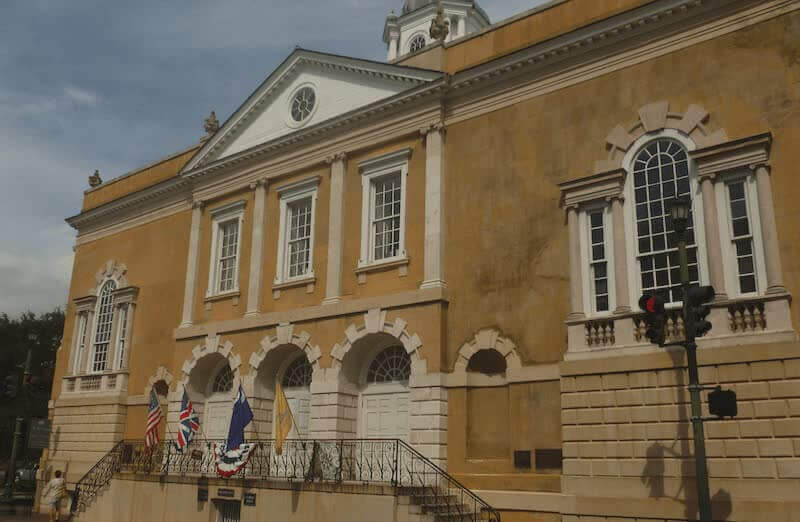 Bath was the capital of North Carolina at the time and was governed by Charles Eden, a man whom Blackbeard would develop a relationship with throughout 1718. 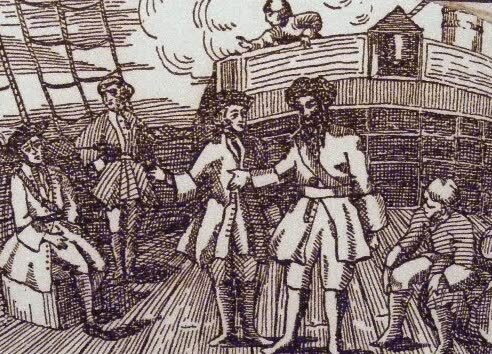 Bonnet and Blackbeard both accepted the Kings Pardon (1718) under Governor Eden and and Blackbeard returned to Topsail Inlet to enjoy his retirement. Bonnet however had grown to like his freebooting career. He waited while Blackbeard went on ahead in order to get permission from governor Charles Eden to take the Revenge to the colony of Saint Thomas, owned by the Kingdom of Denmark. From there he planned to get a Letter of Marque to engage in privateering against Spanish shipping. When Bonnet returned to Topsail Inlet in summer of 1718, he found Blackbeard had abandoned most of his crew, robbed most of the supplies and treasure off the other two ships and sailed off with the Adventure. Bonnet decided to take on some of Blackbeard's crew who had been marooned on a sandbar and sail off to find Blackbeard. After finding out Blackbeard was anchored off the coast of Ocracoke Inlet, Bonnet and the crew set off to track him down. Blackbeard stealing all of the supplies left Bonnet and the crew with little food and supplies needed to survive at sea. According to one pirate at Bonnets trial, Blackbeard left them with maybe 10 or 11 barrels on the whole ship. Bonnet still wished to head to Saint Thomas to get his letter of marque, however the island was in the middle of hurricane season and he would not make it there safely till the end of autumn. Returning to piracy, Bonnet would void his pardon. Bonnet tried to preserve his pardon by adopting the alias "Captain Thomas" and changed the Revenge's name to Royal James. This was most likely a reference to Prince James Stuart of England. Bonnet tried to further keep up the appearance of a legitimate merchant by pretending to trade with the next two ships he captured. 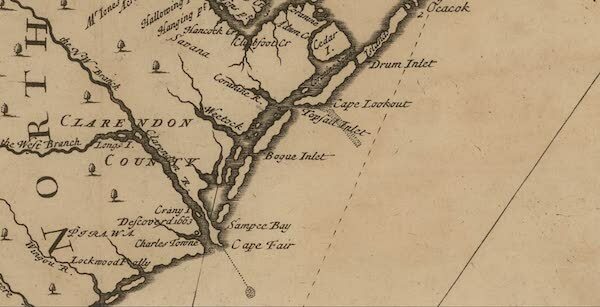 Eventually Bonnet and the crew returned to full fledged piracy and cruised north to Delaware Bay. In July of 1718 Bonnet and his crew looted eleven ships and gained several crew members. This was probably in anticipation of having to engage Edward 'Blackbeard' Teach at his hideout. While Bonnet never really took many ships he captured throughout his career, he took control of the last two Francis and Fortune, probably out of necessity at this point. On 1 August Bonnet in the Royal James and the other two sloops set out south. The two captured sloops were falling behind and Bonnet threatened to have them sunk if they did not catch up. While on the journey it was noted that Bonnet distributed the loot into shares of £10 or £11 much like the pirate code suggests. However Bonnet did not always do this, as when he first started he paid his sailors regular wages like a merchant would. Two weeks after leaving Delaware Bay Bonnet entered the mouth of the Cape Fear River in North Carolina, right near Topsail Inlet. The Royal James had begun to leak and needed to be careened in the shallow waters. Bonnet remained here for nearly 45 days, intending to wait out the hurricane season according to boatswain Ignatius Pell. The first ship that entered the waters Bonnet captured and broke up into parts for his sloop. Bonnet even forced the prisoners of the captured ship to do most of the work. Bonnet at this point has begun to adopt much more of a Blackbeard mentality towards his captaincy, behaving nothing like what he did when he first started. In fact he threatened one man with marooning if he did not work the pumps. 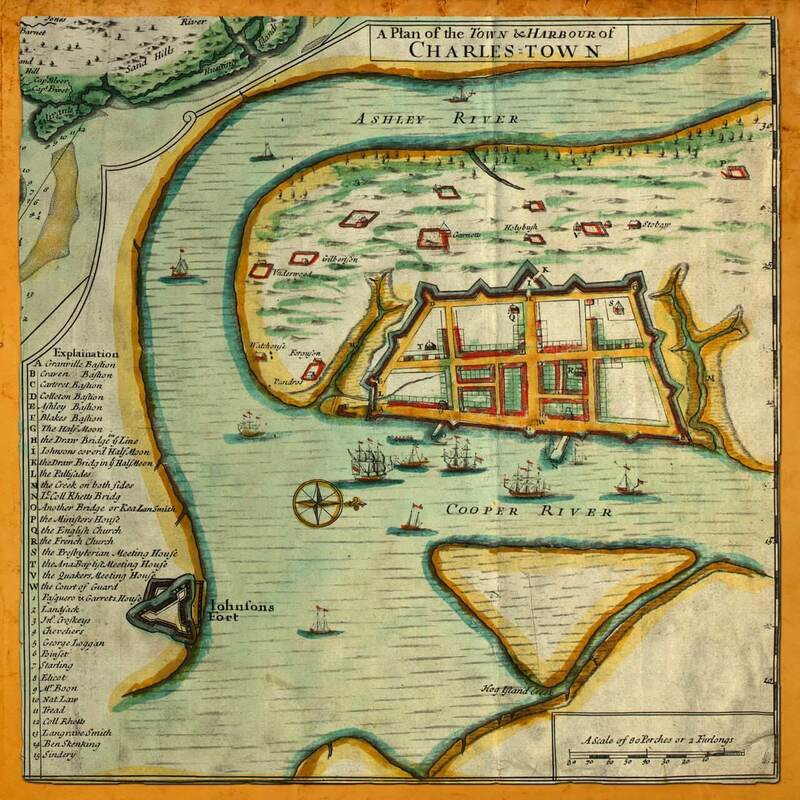 Near the end of August in 1718 word had reached Charles Town that Bonnet was anchored off Cape Fear River and Governor Alexander Spotswood of South Carolina dispatched a pirate hunter named Colonel William Rhett to take out Stede Bonnet and his crew. Despite being in North Carolina territory, Spotswood felt Governor Charles Eden was corrupt and therefore took it upon himself to root out the pirates once and for all. He did the same when issuing Robert Maynard to hunt down and kill Blackbeard. 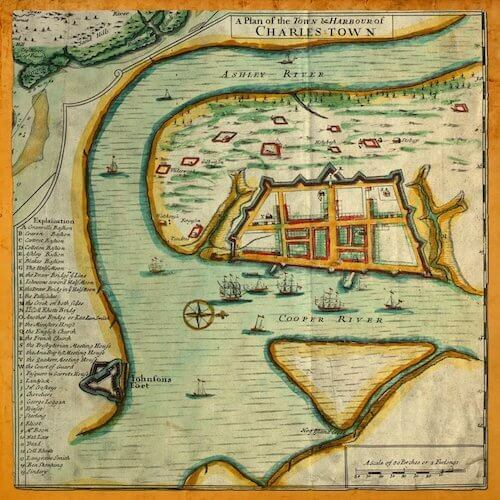 After capturing a pirate ship near Charles Town, Rhett arrived at the mouth of the Cape Fear River on 26 September. He had two 8-gun sloops and about 130 men in order to take down Bonnet and his crew. As Rhett entered the river his main ship Henry ran aground on a sandbar. Bonnet noticed Rhett's ships when they arrived and mistook them for merchant ships. He sent three canoes out to capture the ships. However when they realized the ships were heavily armed pirate hunters instead the canoes retreated and informed Bonnet. By the time the river tide had risen, the sun had already began to set. Bonnet and his crew of 46 men were distributed among three ships at the time. Bonnet organized a meeting of every crew member and discussed his plan to fight their way out to sea in the morning rather than risk navigating the narrow river at night. Bonnet also wrote a letter to governor Johnson threatening to burn all ships in the Charles Town harbor when he escaped. At daybreak on 27 September Bonnet initiated the Battle of Cape Fear River when he took command of all three ships and set a direct course for Rhett, opening fire with all of the cannons. The two sloops commanded by Rhett broke off in an attempt to surround and bracket the Royal James. When Bonnet tried to steer the ship away from the incoming vessels he ran the ship aground. However, Rhett's sloops also ran aground in the process leaving only the Henry in fighting condition. The battle prolonged for five or six more hours as Bonnets men ducked behind the grounded ship for cover. Bonnet and his crew were able to deliver many successful musket volleys as the deck of the Henry was tilted towards the pirates. Bonnet lost 12 crew members and killed 10 and wounded 14 of the 70 men on the Henry. Bonnet and his men fought hard, often challenging the soldiers to come and board them and fight them hand to hand with the cutlass. Bonnet was said to have patrolled the deck with a pistol threatening to shoot anyone that wanted to run or retreat. However some of the prisoners Bonnet captured in earlier engagements at the Cape Fear River chose not to fight. Ultimately the end of the fight occurred when the rising tide removed one of Rhett's sloops off the seafloor while leaving Bonnet's ship stranded. As Bonnet's crew was still immobile, the enemy began repairing rigging and preparing to board. Outnumbered nearly 3 to 1 Bonnet and the pirates would stand no chance against the superior numbers. Bonnet ordered his gunner, a man named George Russ to blow up the powder magazines on the Royal James however, the rest of the crew overruled him and surrendered to the pirate hunters. On 3 October, Rhett returned to South Carolina with Bonnet and the rest of the crew. 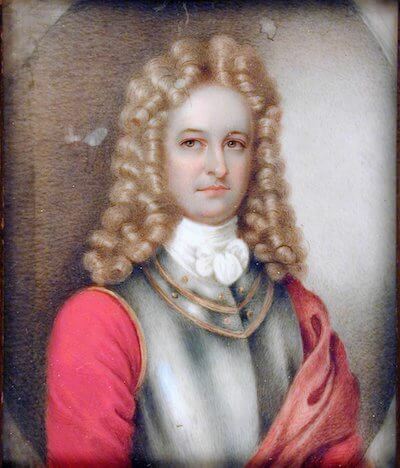 Bonnet and a few of his crew including boatswain Ignatius Pell and sailing master David Herriott were brought to Charles Town and held for three weeks in the provost marshal's house to be interrogated and questioned. However, most likely with the aid of merchant Richard Tookerman Bonnet and Herriott escaped and fled. As soon as Governor Johnson found out he put a £700 bounty on Bonnet and dispatched Colonel William Rhett once again to track him down. Bonnet and Herriott recruited a slave and a Native American to assist them, stole a boat and sailed for the north shore of Charles Town harbor. However, poor winds and a lack of supplies forced the pirate group to land on Sullivan's Island. Soon Rhett and his soldiers discovered Bonnet after a long search. As soon as they found the pirate and his companions they opened fire, killing Herriott and wounding the slave and the Native America. Bonnet surrendered immediately and was returned to Charles Town. While Bonnet awaited trial the civilians in Charles Town rallied around him and a civil uprising that nearly resulted in the burning of the city and the overthrow of the regional government took place. This showed that even in their contemporary times, pirates like Stede Bonnet and Blackbeard cultivated a great reputation. Bonnet along with the rest of his crew was held in the Old Exchange and Provost Dungeon that can currently be seen today in Charleston. On 10 November 1718 Bonnet went to trial before judge Sir Nicholas Trott. Before Bonnet had even gotten to the trial Trott determined that him and most of his crew were to hang. 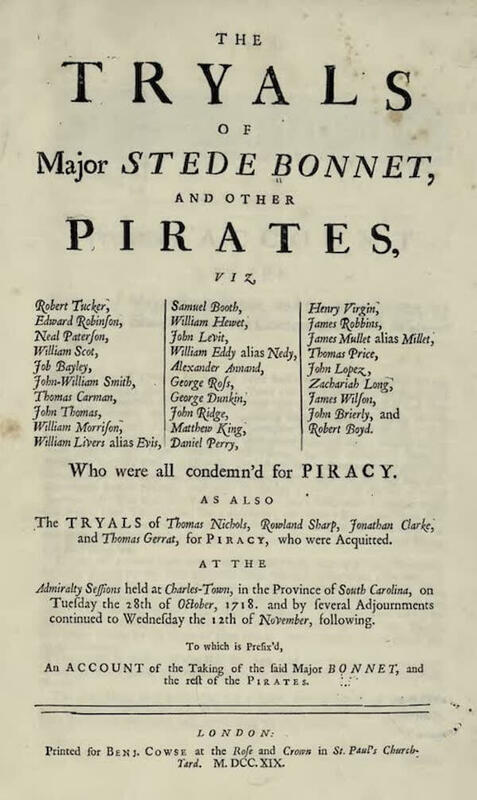 Bonnet was only charged with his piracy against the two South Carolina sloops, the Francis and the Fortune because the commanders and crew were there to testify. This made convicted Bonnet extremely easy and to top it off, Ignatius Pell who Bonnet and Herriott left in their escape turned in King's evidence against the crew and Bonnet. Bonnet tried to conduct his own defense and attempted to cross examine witnesses with little success. Trott gave a summation of Bonnet's crimes and the jury quickly delivered a guilty verdict. Bonnet was sentenced to death two days later, after being given a stern lecture by Trott. His pirate fortune was integrated into the South Carolina treasury. While awaiting his execution Bonnet wrote to governor Johnson begging for clemency and promising to have his own arms and legs cut off as an assurance he would never commit piracy again. Captain Charles Johnson wrote in A General History of Pyrates that Bonnet was suffering from severe mental disintegration at the time and moved many people to pity him. It was reported his execution was delayed seven times on account of public support. Despite his reputation and personality, Bonnet was unable to stave off his own execution. Stede Bonnet was eventually on 10 December 1718 in White Point Garden in Charles Town, in the Province of South Carolina. Following right after the death of Blackbeard, it is hard to miss the influence that these two had on each other. Without Bonnet Blackbeard would have never gotten a real crew again, and without Blackbeard Bonnet would have never become the pirate he became. 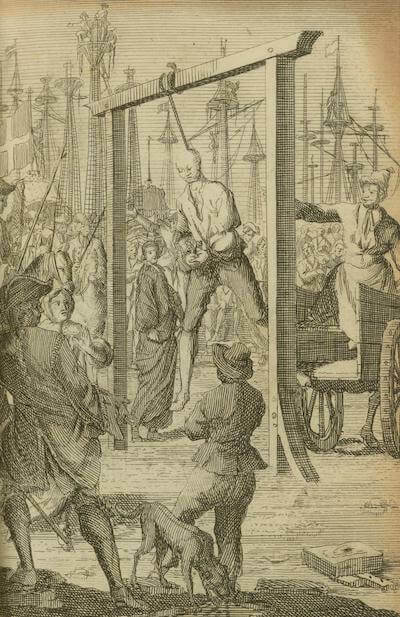 Most of Stede Bonnets crew would suffer the same fate and all be hung in the Province of South Carolina in 1718. While a few would escape the hangman's noose, overall most of the crew was buried beneath the low water mark in White Point Garden following their trial and executions. 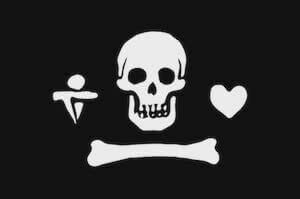 Stede Bonnet's pirate flag has not been authenticated by any first hand accounts and may very well be a complete fabrication.